The 2014 Glasgow Commonwealth Games gold medallist lost his passport in Amsterdam last night and is now stranded there. 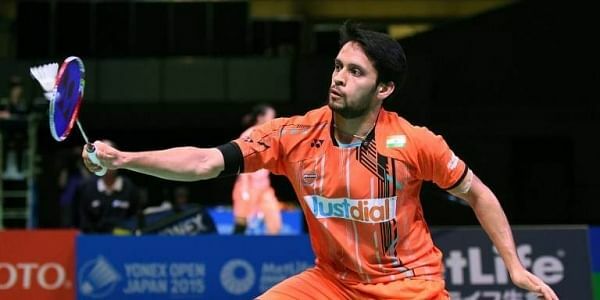 NEW DELHI: Indian men's singles shuttler Parupalli Kashyap has sought External Affairs Minister Sushma Swaraj's help after he lost his passport in Amsterdam while travelling to Odense for the Denmark Open. He is supposed to leave for Odense Sunday for the Denmark Open. He sought Swaraj's intervention and also tagged Prime Minister Narendra Modi and Sports Minister Rajyavardhan Singh Rathore. "Good Morning Ma'am, I've lost my passport at Amsterdam last night. I have to travel to Denmark Open, French Open and Saarloux Open,Germany. My ticket for Denmark is on Sunday, 14th October. I request help in this matter. @SushmaSwaraj @Ra_THORe @himantabiswa @narendramodi," tweeted Kashyap.